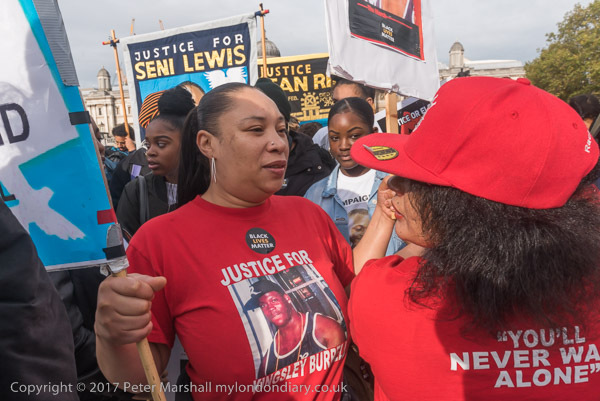 Every year there are new families grieving the loss of a family member and calling for justice after a death in police custody or prison or secure unit. Most often those who have died have been young men, mostly black and usually in good physical health, though some have mental health issues. Although some of the many deaths each year many be accidental or through natural causes, many seem to be the result either of direct actions by police or custodial staff, sometimes by failing to exercise proper care, but more often by failing to observe proper procedures and at least on occasion by deliberate use of inappropriate force. Of course the police have a difficult job and often have to deal with difficult people, and like the rest of us sometimes get things wrong. But their actions should be subject to proper and independent scrutiny, and where appropriate they should be prosecuted for their actions. Instead we see a failure to properly investigate, a widespread conspiracy to cover up actions, ineffectual complaints procedures and organisations, a Crown Prosecution Service that works hand in hand with police to brush things under the carpet and a judiciary, inquest and court system which has far too often failed. 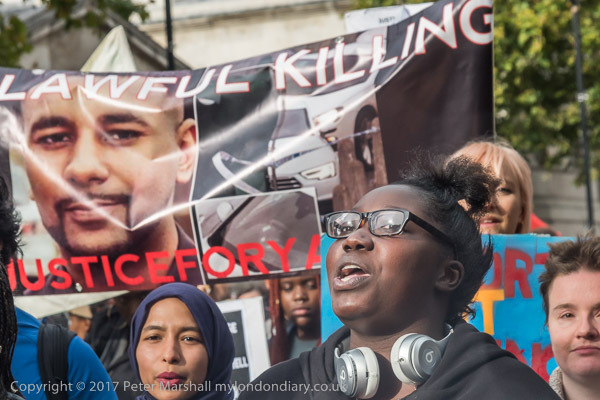 Of course not every highly suspicious death at the hands of police was criminal, but many should have resulted in verdicts of manslaughter and some of murder – but none of the hundreds have. 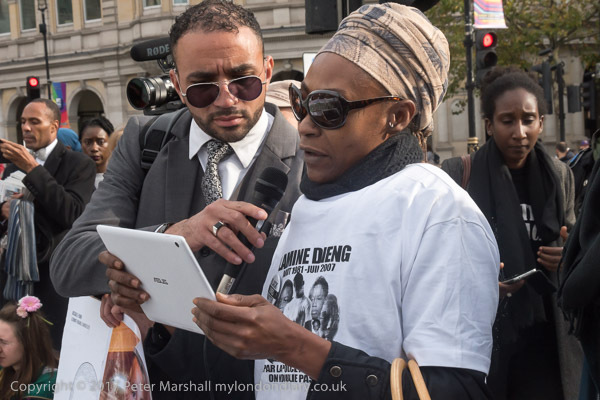 these are the friends and families of those – mainly but not entirely black – who have died while in police custody, in prison or in psychiatric care. there are some 1500 names on the posters, listing those who have died in custody since david oluwale’s death in 1969. on the bottom of the list it says: “there are still more whose names we do not know. 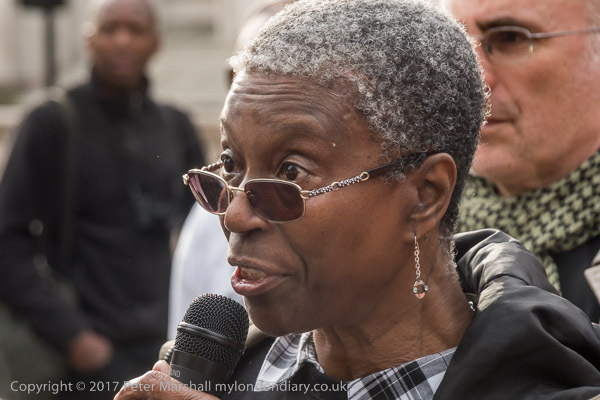 all these individuals have died in the custody of police and prison officers or in secure psychiatric hospitals – many in suspicious and disgraceful circumstances. 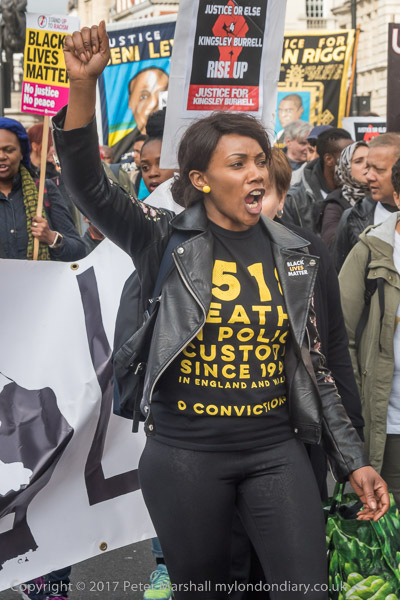 You can see more about the campaign and why it is necessary in the full-length film Injustice, about black deaths in custody from 1993–1999. The film was released in 2001 and received wide-spread showings despite efforts by the Police Federation and individual police officers to prevent it being shown with threats of legal action and it received various documentary film awards. The TV companies refused to show it, although it was shown in many cinemas, at community groups and elsewhere, and it forced a review into the Crown Prosecution Service, but this produced no real change. A special edition CD updated with extra material is now available. Since 2003, the only main change has been that the list has grown longer, now with well over 2000 names. Many of the families of those listed above have given up the struggle to get justice, tired of beating their heads against the wall of officialdom. Sarah Campbell’s mother Pauline Campbell is another name that belongs on that list; having thrown herself into campaigning for prison reforms after her daughter’s death she died from a drugs overdose close to her child’s grave with its message in black granite, “Her mother left broken hearted“, five years later. Having met and corresponded with Pauline, her death saddened me greatly. 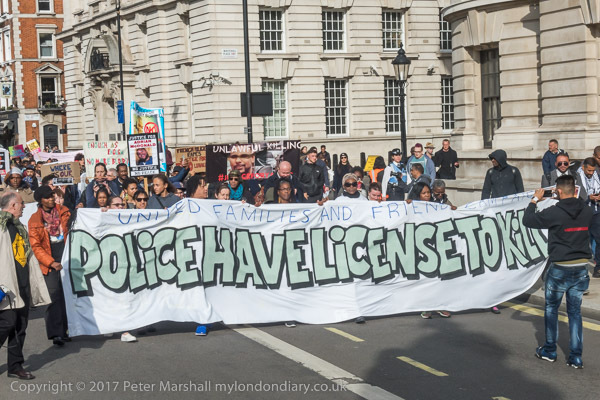 As usual the march proceeded at funeral pace down Whitehall, this year with a banner at its front with the message “Police Have Licence To Kill” which unfortunately seems to be confirmed by events such as the shooting of Mark Duggan, Mohammed Yassar Yaqub and Jermaine Baker. There were perhaps slightly fewer banners than in some previous years, with some families not coming this year, but there were some new ones too. And there were also two French campaigners whose problems with police violence are even greater than ours. At Downing St there was a rally, blocking the south bound carriageway, with speakers from a number of the families. I had to leave before the rally finished and there were still others waiting to speak. This entry was posted on Wednesday, April 4th, 2018 at 09:27 am and is filed under My Own Work, Political Issues. You can follow any responses to this entry through the RSS 2.0 feed. You can leave a response, or trackback from your own site.